LGM Games™, creators of the Starpoint Gemini franchise have published the timeline lore of all games from Starpoint Gemini series. Following LGM’s Starpoint Gemini 3 announcement, the studio got a number of questions regarding the timeline lore of all games from Starpoint Gemini series. 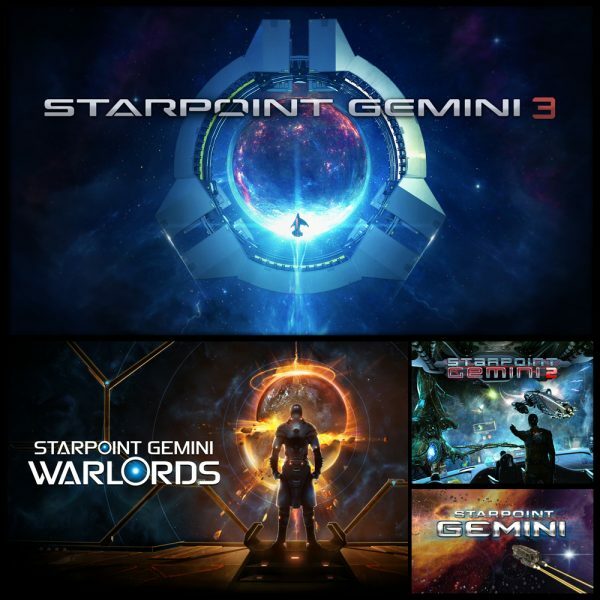 Since each sequel had a different perspective on the events in the SPG universe, but they are all linked, LGM has decided to make a quick rundown of all major events dating back to a period even before the original Starpoint Gemini took place. Empire crumbles completely and disappears. Starpoint gateway is operational again. Last refugee group to arrive in Gemini from former imperial main space, establishes a unique faction called Solari Concord. Other Gemini factions see them as the Empire supporters and attack them immediately. A’Shriari race declares they have no desire to eliminate the human race, and that their goal was to bring the Empire down. They sign a peace treaty according to which they are to return to their space but keep their presence in the former Empire systems to oversee the situation there. After almost half a century, human factions Nexus and MultiOps send their colonization ships from Gemini to repopulate and rebuild the old imperial territory in the Sirius and Solar systems. They meet a new faction called Liberland. The Empire is no more, but its legacy lies in the Templar faction that is secretly working to restore it.